In nearly every aspect of life (both professional and personal), effective communication is crucial to success and happiness. Relationships cannot thrive without open communication, and the same goes for businesses both large and small. The quality of a business's internal communication often says a lot about the company itself. Let poor communication get worse, and your organization's days may be numbered. Fortunately, there are plenty of ways you can improve communication in the workplace. 1. Check in with employees on a regular basis. Checking in with employees is essential. Meet with them regularly either in-person or online every few weeks or months, inviting them to discuss their thoughts on their projects, tasks, and the organization as a whole. They want to be heard, and they want to share their thoughts and opinions. 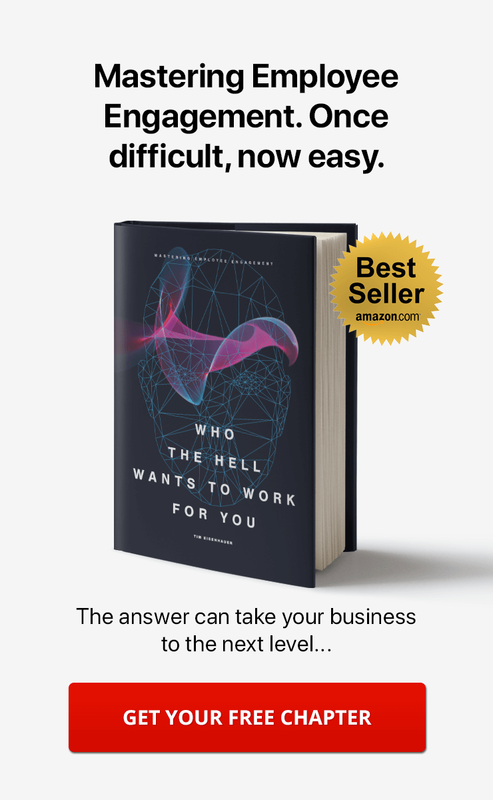 This will improve internal communication throughout your entire organization, as well as empower your employees and keep them comfortable in their positions. 2. Make internal knowledge and documents easily available. For newer employees, it can be difficult to learn the ropes of an organization and how it truly operates. Since most companies work from a specific set of internal knowledge, there's usually already a built-in training program at your disposal. Making internal knowledge easily available via documentation on your company intranet is a great way to keep effective communication flowing. 3. 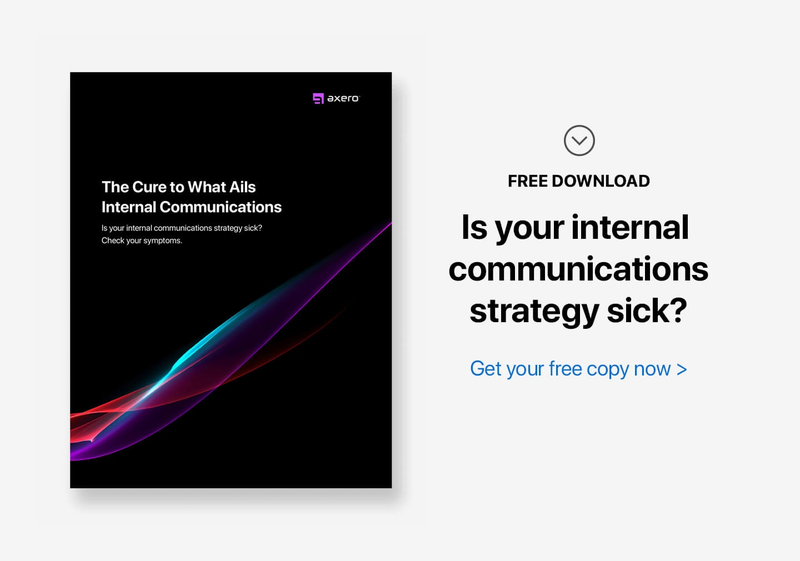 Assess your current internal communication strategy. It's not easy to improve something if you don't know what's holding you back. Communication methods such as email, telephone, messaging, in-person communication can all serve a valuable purpose and come along with a variety of benefits. However, some may be more useful than others. Email, for instance, is probably not the best way to have a conversation with someone. Many organizations are replacing email with social intranet software and collaboration tools. So make a list of your current internal communication methods, and you might find that your organization is missing something or relying too heavily on one particular method, in which case it might be time to make some changes. 4. Implement social intranet software. When attempting to improve workplace communication, social intranet software is at the top of the list. 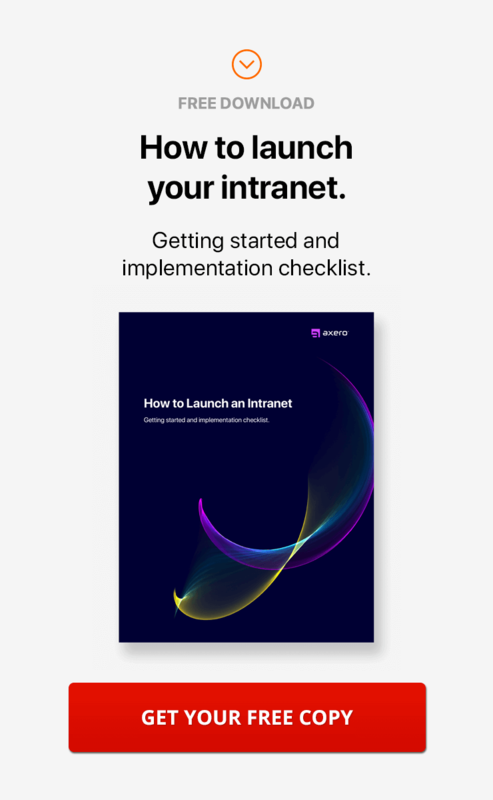 Comprised of a variety of tools that can help improve daily business processes, an intranet also features a robust employee communications platform that allows for easy retrieval of old conversations. It also empowers employees to bounce ideas off each other in a judgement-free environment. The popularity of social intranet software is growing at an exponential rate, and the technology is continuing to move in a forward direction. 5. Have an "open door" policy. One of the biggest obstacles that employees face is how they can communicate with managers and CEOs. They may not feel comfortable approaching the boss, and as a result of this apprehension, many employees may choose to avoid bringing up important points, thus blocking the flow of effective communication. Having an "open door" policy where your employees feel comfortable bringing anything to your attention, at any time, can be immensely beneficial to your business's internal communication, not to mention make you more approachable. It is also a great way of motivating employees in your organization. But if they're not approaching you, always remember #1 above ... check in with employees on a regular basis. Social media has proven to be a powerful aid for businesses to communicate with customers ... yet it often goes overlooked how effective it can actually be to improve communication in the workplace. Employees can like, comment, and share with one another interesting posts that may relate to your organization. You can use social intranet software in the same manner. Allow employees to share their interests with each other to create meaningful, work-related conversations. This is a great way to combine relationship-building with your business's goals and philosophies. 7. Create an internal language. Sometimes, the best way to improve workplace communication and your employee engagement strategy is to create an internal language. This could range from being a set of acronyms/monikers that are used throughout the day to describe certain aspects of business to a host of made-up slang words based off of inside jokes or company principles. It's a fun way to keep things interesting throughout the week and can no doubt help to improve the flow of effective communication in the workplace. 8. Identify a common goal. Within every organization, there exists a common goal, which can depend heavily upon the focus of the business. As it is important for your employees to be on the same page, identifying and clarifying common goals can come along with a number of benefits. After all, there's nothing more important for a team than for each of its members to have a similar mindset. 9. Send out an internal newsletter. When things get busy, it may be difficult to keep tabs on what's happening in your organization. An internal newsletter is an excellent tool for ensuring that every employee is up on recent happenings, whether they be small or monumental in nature. Typically, internal newsletters work best when they're sent out weekly, but you can experiment with how often you push them out. If you're working within a physical office, one of the best steps you can take to improve workplace communication is to rearrange the way it is designed. Many offices make use of cubicles and partitions, for example, which can isolate employees and put a damper on effective communication. Rearranging your office to make it more "open" in design will help open up the floodgates for employee communication and collaboration, not to mention make the space more enjoyable to work in. 11. Focus on company culture. Focus on company culture and integrate it into your workday. This can be a great way to make employees feel more connected to each other and the organization itself. You can do this by learning about employee engagement ideas, incorporating your branding into office decor, your social intranet, or your documentation, among other pieces of collateral. If there are any core philosophies that your business embodies, don't hesitate to reiterate them on a regular basis. 12. Get outside of the office. Being stuck in the office for long periods of time can have negative psychological effects on you and your employees, especially during the colder months of the year. Sometimes, all it takes is a change of scenery to perk people back up. Getting outside the office doesn't necessarily mean wasting valuable work time, either, as you can simply relocate your team to a different location where you can collaborate on a project. 13. Schedule a work retreat. Staying with the concept of getting outside the office, there are times when you should stop work-related activity, and instead, allow your employees to get to know each other better. A work retreat is an excellent form of effective communication, and it can range from being a day at the beach to a hiking trip or other excursion. With all the focus put on helping employees communicate better, it's important to remember that team-building exercises and employee engagement activities don't always have to revolve around getting actual work done. 14. Allow your employees the opportunity to recharge. Working long hours can be exhausting, especially when mindset is considered. When you're in need of a recharge, it can be very difficult to communicate effectively with others. Give your employees the opportunity to step away when need be. Whether this means taking an extra hour for lunch or simply asking for the occasional personal day, you'll get better results out of granting your employees the chance to reboot themselves than running too tight a shift. 15. 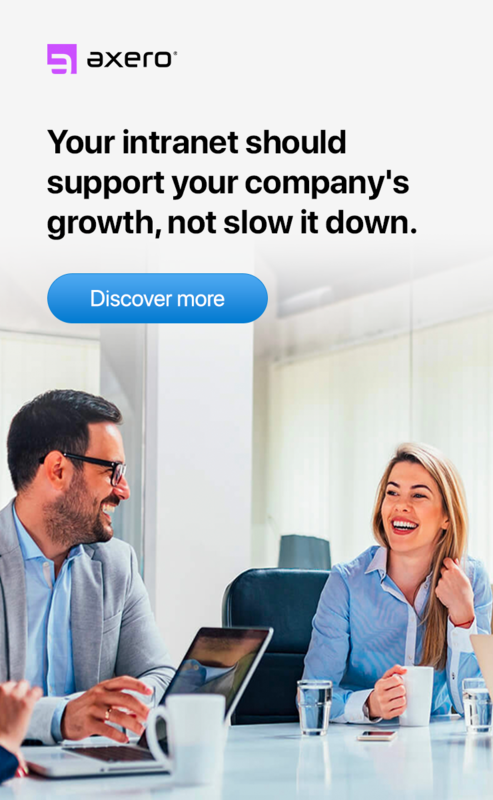 Strengthen connections between managers and employees. In many organizations, managers and employees work hand-in-hand each other. This isn't always the case, however, and it's not uncommon for employees to simply report to managerial staff with status updates. By encouraging stronger, more collaborative relationships between employees and managers, you'll be doing an important thing for improving communication in the workplace. For some managers and CEOs, water cooler chat among employees can seem like wasted time, which can easily equate to wasted money in the mind. Employee mingling is an essential aspect of relationship-building, however, as you can't expect people to get to know each other if all they're discussing is work. If your employees feel like mingling and having an off-topic conversation or debate during the workday, let them. Many businesses take a top-down approach to communication, which has been a classic constant for decades. One-way communication may provide an element of control, but it's not going to do you or your employees any favors whatsoever. Instead, allow for employee communication to be a two-way street, as you'll see a number of benefits by taking this approach. 18. Place importance on regular content creation. Creating content for blogs and wikis can have both internal and external implications, most of which will be positive for your organization. By encouraging your employees to create and publish quality content, you'll be empowering them to inject their own personality into the company, which in and of itself is a form of improved employee communication. Plus, employees can "like' and comment upon their coworkers posts — another effective tool for fostering a productive discussion. Today, more and more people are using smartphones and tablets for everything. Mobile technologies aren't going away, and since many modern employees find themselves outside of the office on a regular basis, embracing them now is of the utmost importance. This could mean creating apps specific to your business or using mobile technology for conferencing among a variety of other approaches. 20. Attend conferences as a team. Just about every industry has its own set of conferences throughout the year. Attending conferences as a team is an excellent way to open up communication and discuss with employees how your organization might be able to move forward in your industry. As with any type of retreat, conferences can be great for team-building, and they don't have to expensive or difficult to attend if you plan things out ahead of time. 21. Use a CRM platform. Whenever customers are involved, do everything you can to ensure that your employees are communicating with them efficiently. Using a CRM platform is a great way to keep employees on the same page regarding a ticket or inquiry, which will help get your customers the answers they need as quickly as possible. Otherwise, communication breakdown may occur, resulting in a number of hurdles that can have an effect on customer retention. 22. Put orders in writing. Putting things in writing is the only way to make sure that everyone understands an order properly without misconstruing things. This is especially true when you're dealing with a large number of employees. Always live by the philosophy that if it's not written down, it doesn't exist. 23. Schedule daily status meetings. The more you can do to remind every team member of their tasks and the current status of a project, the better. Daily status meetings can be held either in person, via teleconferencing or via the web, and they don't have to last for more than 10 minutes. If you have the luxury of having everyone on your team located in the same time zone, try to schedule a meeting for the same time every morning. 24. Identify and reach out to shy employees. No matter how you cut it, some people simply tend to be shy, even if they're adept at what they do. Identifying and reaching out to shy employees can help break down the barriers of workplace communication they may have imposed for themselves, especially if you show a genuine interest in them. Don't forget, however, that this can be a lengthy process — shyness doesn't dissipate overnight, after all. 25. Encourage video conferencing for remote employees. When you're managing remote employees, relationship-building can sometimes be difficult. One answer to this all-too-common issue is video conferencing, which helps put a face to the voice of your employees when you might not actually see them in person for a long period of time. This is a great way to get to know the freelancers you work with, especially if you plan on enlisting their services long-term. 26. Use an anonymous "suggestion box." As old-school as it may sound, this is another way to improve communication at work. You can benefit greatly from setting a "suggestion box" in your office that allows for employees to anonymously comment on things they'd like to see improved. People aren't always comfortable bringing up their concerns, after all, and are more likely to do so if they can take an anonymous approach. If you don't work within a physical office, you can direct your employees to a virtual suggestion box, which can serve the same purpose. 27. Hold teamwork in high regard. Many employees like to work on projects by themselves simply because they don't feel comfortable collaborating with their coworkers. This is exactly the type of barrier you're trying to break down, which is why you should stress the importance of teamwork at all times. Asking your employees to take a team-based (rather than solo) approach may cause some initial discomfort, but the benefits of doing so are undeniable. 28. Take inventory of your own communication skills. Every CEO wants their employees to communicate effectively, but what about your own communication skills? Most people can admit they can work on how they communicate with others, and taking inventory of how you personally approach communication can be immensely beneficial. You want to serve as a model leader, and the only way to do so is if you yourself work on improving as well. Regardless of the type of organization you run, it's safe to assume that every employee perceives and internalizes information in their own way. Asking your employees how they like to receive information (through the social intranet, email, newsletters, etc.) can help you create a more effective plan for regular communication at work. In addition, your staff will appreciate the fact that you're willing to meet them halfway, which bodes well for employee morale. Improved employee communication can come along with a number of benefits, and it's important to take a moment to celebrate what you've achieved after you've put in the work. In many cases, you'll be able to compile data about your company that actually shows increased performance and productivity. This is a great way to let employees know just how much of an impact open and effective communication has on an organization. Either way, celebrating what you've achieved will only boost the moods of everyone. Always keep in mind that trying to improve workplace communication within your organization is a time-consuming process that is best approached by using a number of the above tips at the same time. If you put in the work, however, you're bound to see positive results. I think the most important piece of this article is in reference to reaching out to the shy people in the workplace. Leaders often emerge as extroverts, and forget that certain individuals respond to a different type of communication. Communication is so relative, and it is imperative that we tailor the style of communication to a particular type of person. One thing I would add, always have an "Open Door Policy". This is necessary because it will create a culture of transparency and openness in the workplace. Thanks for the article.